When Canadian cyclist Ryder Hesjedal crashed on a descent in the Tour of Spain back in 2014 he sparked a fascinating sporting conspiracy theory. As he scrambled to recover, Hesjedal’s bike appeared to rotate away from him as it lay on the floor. For some, it was evidence of “mechanical doping” – the use of small, hidden battery packs to add power to a rider’s output. The defence from Hesjedal and his team was robust, and more than a little mocking of the furore that followed. In truth, the accusations didn’t make any sense. The back wheel was simply rolling down the slope in an arc; the cranks weren’t turning; and why would a motor be engaged on an easy downhill section anyway? Swiss rider Fabian Cancellara had been forced to deny similar accusations four years earlier, but this time the claims did prompt the sport’s governing body to check out the team’s bikes (nothing was found). It was the first glimpse of a new scandal in a sport that has had more than its fair share. The Union Cycliste Internationale (UCI) has since started regular testing, and may have just uncovered some genuine evidence. At the World Cyclo-Cross championships in Zolder, Belgium, the UCI revealed it had discovered a motor in a frame being used by one of the pre-race favourites and current European Champion, Femke van den Driessche. Van den Driessche, 19, who was taking part in the under-23 women’s race, has strenuously denied that she knew anything about the motor. She told reporters that the bike belonged to a friend who had left it with her mechanics, who wrongly thought it was hers. This may prove to be true, but the inescapable fact is that the technology is available, and effective. 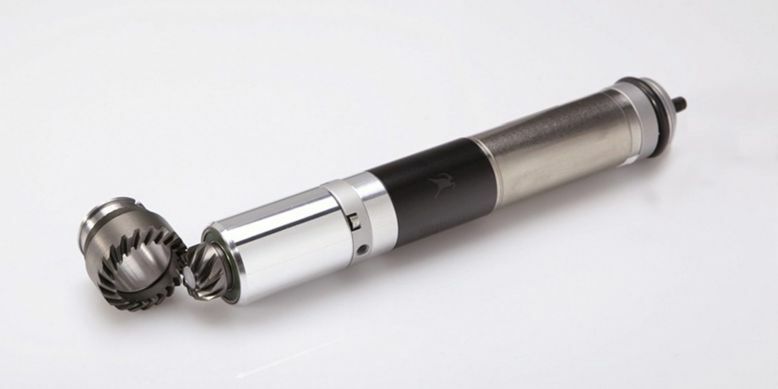 The power output varies, and can reach up to 200 watts. But even a modest boost of 20-50 watts could offer a race-winning advantage, or make the difference for a rider seeking a new contract. For some, any teams and individuals proved to be using such technology intentionally will be regarded as cheats – and the act may even be compared to the doping culture embodied by Lance Armstrong, which was widespread in the sport. We can also view it as part of a technological arms race which sees bike manufacturers and professional teams fight for marginal gains. And it is a story which extends out into other sports too. Since the beginnings of the bicycle industry in the 1860s, cycle racing has trialled new machines and ideas to try and maximise performance. Perhaps the most straightforward of these inventions was the air-filled tyre, now ubiquitous, that increased speed by reducing rolling resistance and greatly improved comfort. Jump ahead 150 years and you can now buy a road bike that weighs just 4.5 kilos. Sport habitually wrestles with the line between technological advancements and unfair advantages. The UCI, for example, imposes a weight restriction which is a full two kilos more than the bike mentioned above. Others too have sought to stop technology dominating athletics performances. For example, Swimming’s governing body, FINA, banned full-body swimsuits in 2010 following an unprecedented level of world records. Swimmers’ bodies were moulded into a stable, bullet-like shape by the suits, which also repelled water to reduce drag. The view was taken that the suits did not allow an athlete’s raw ability to determine performance results. Sometimes, however, the introduction of a new technology or piece of equipment can be a form of “reskilling”, where an athlete’s skill increases as a result of learning to use it. 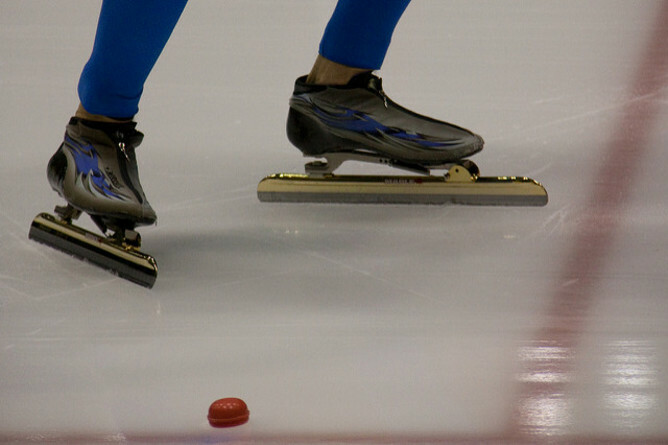 One example was the introduction of the “Klapskate” in speed skating in the late 1990s which enabled athletes to stay in contact with the ice slightly longer, meaning they could extend the duration of their push. Manufacturers defended this on the basis that athletes had to learn to skate differently. 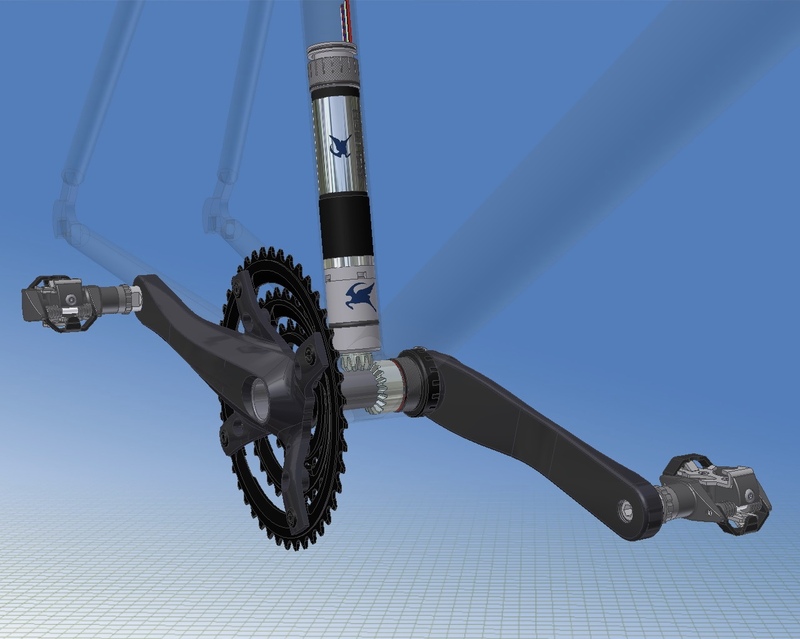 At first glance, the idea of motors in bike frames seems a very different prospect, but just as there are arguments for a more flexible approach to doping, so there is room to consider where this latest technological advance might have a place. Cycling is a brutal sport, demanding regular feats of endurance, speed and power. Reducing the burden on fragile bodies might just help to loosen the hold of doping on those attempting to build successful careers. And there might even be room for the kind of “reskilling” we saw above if motors found their way into the sport. Clearly we couldn’t end up with a situation where wealthy teams lord it over the others by way of pure mechanical advantage, but there is a useful comparison to be made with Formula One, where the DRS (Drag Reduction System) makes temporary use of a technological advantage (aerodynamics in the rear wing) to make overtaking easier. And so, cyclists might have finite battery power at their disposal, and choose where to deploy it, or like F1, it might be applicable only in certain zones. Riders might choose to use a set-up which suited their strengths, or which mitigated their weaknesses. This would make an appreciable strategic difference to how a bike race pans out. Victories might be secured on the canny use of a frame-mounted motor, as well as on raw power and race craft. It seems far-fetched at this moment, but sport’s governing bodies are now being forced to face up to the existential threats that have chipped away at their credibility for years. Shaking up cycling by embracing so-called “cheating” tech might have purists choking on their chain lube, but with a bit of imagination, it might nip a new scandal in the bud while enhancing the spectacle for everyone.